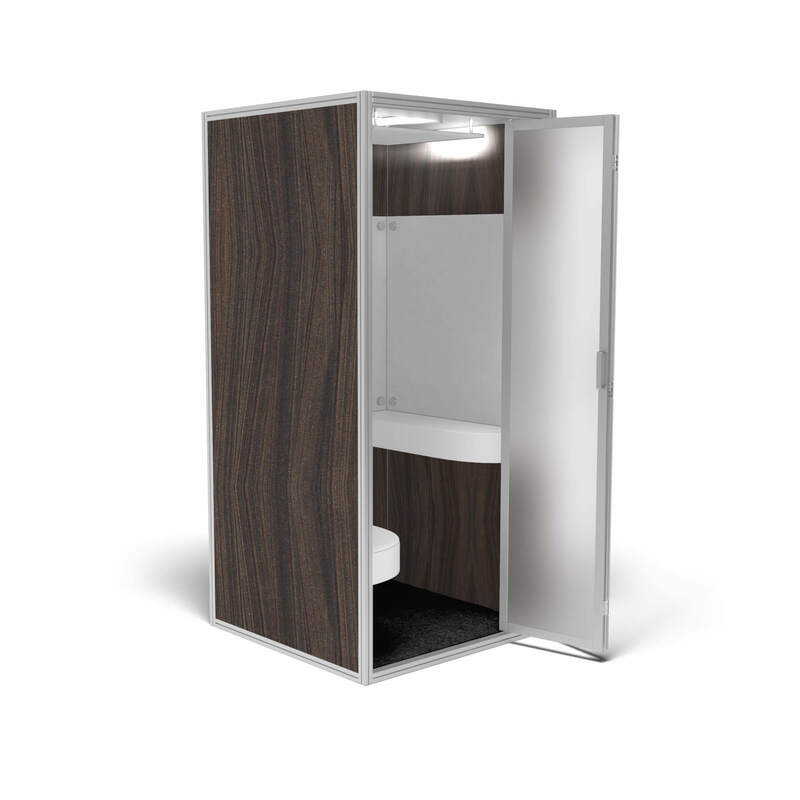 Want to customize this booth? Contact us here. The footprint is less than 42” x 84” and stands under 8 feet high. 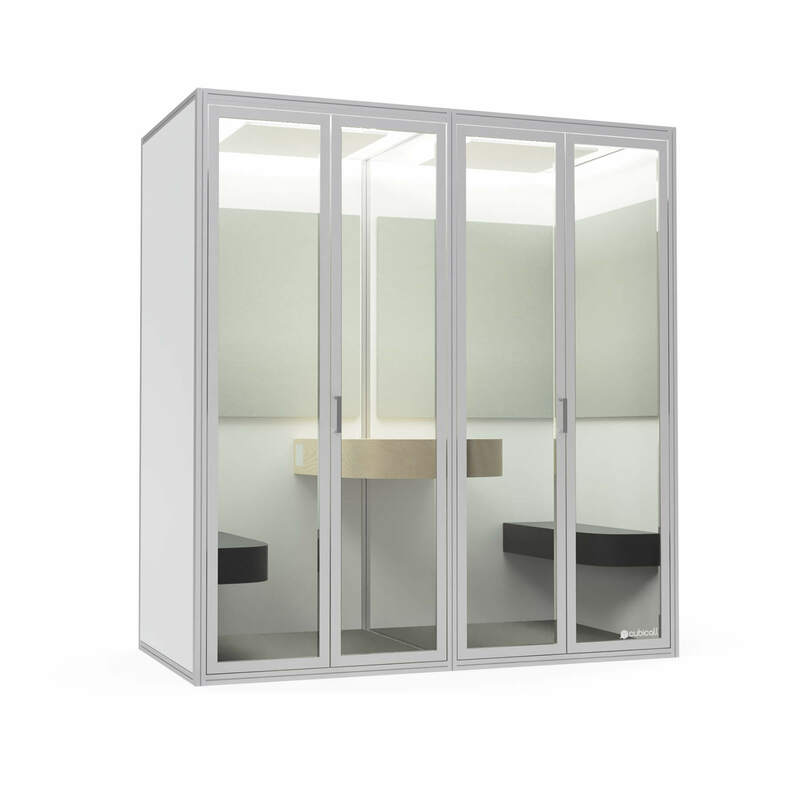 Our bi-folding door helps Cubicall fit in smaller offices where every inch of space is critical. 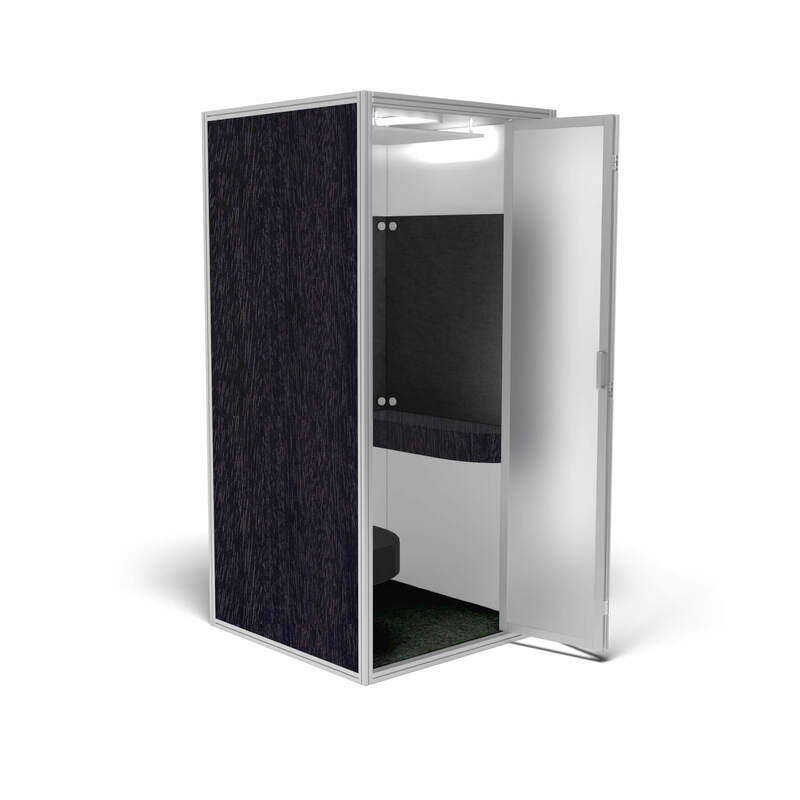 Design your booth! Choose customer colors for the walls, acoustic panels, desk and carpet. Even print with your own custom graphics and branding!